NZDUSD is chiefly under the influence of the US labor data which was out of the experts’ expectations. It seems that the US economy is getting stronger. 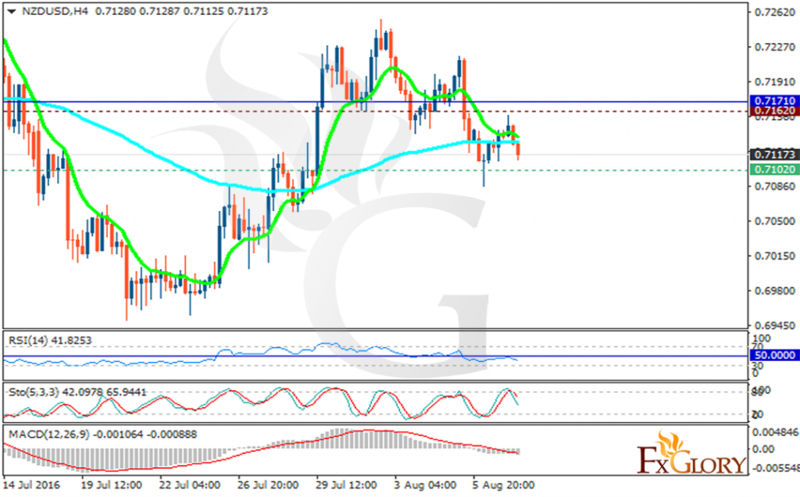 The support rests in 0.71020 with resistance at 0.71620 which both lines are below the weekly pivot point at 0.71710. The EMA of 10 is falling down and it is getting close to the EMA of 100. The RSI is falling down and is reaching the oversold area, the MACD indicator is in neutral territory and the Stochastic is showing downward momentum. The trend seems bearish at the moment targeting 0.7050.